Iowa's green frogs are often brown when full y grown and the sides and back are mottled with small, irregular, dark brown spots. 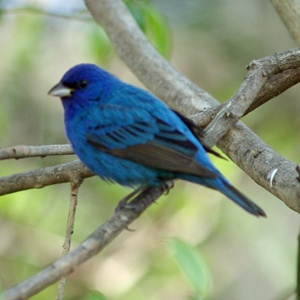 Occasional specimens are almost free of spots. The legs have distinct brown bands, the tympanum has a light center, and the dorsolateral folds are distinct behind the head but terminate about mid-body. The young are even more spotted and difficult to tell from young bullfrogs. This frog gets large, up to 4 inches (102 mm) long. It is easily separated from most other Iowa ranids by the lack of distinct round, square, or elongated spots on a light green or gray background. In all other Iowa ranids except the bullfrog, the dorsolateral folds extend posteriorly past the legs. The bullfrog can be distinguished by its lack of dorsolateral folds and its more fully webbed hind feet, with only one free phalanx on the longest toe. 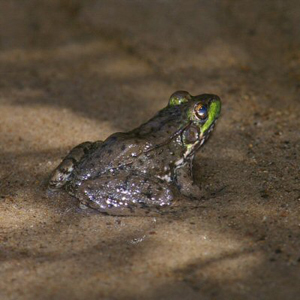 The green frog, Rana clamitans melanota is the only subspecies found in Iowa. The call of the green frog is a thing of beauty, especially for a ranid. Unlike the guttural sounds made by Rana pipiens and its relatives, the low-pitched "clung" of a green frog is like a single, clear banjo note, repeated slowly and more softly each time in a short series. The call alone is enough to easily identify a male with certainty. A chorus of green frogs sounds like a group of banjo players tuning up for a concert. 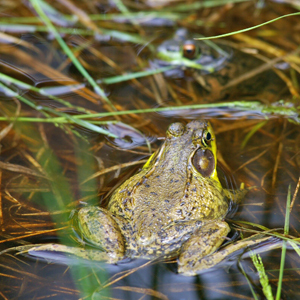 Our "banjo frogs" live on the banks of streams or pools usually near streams. They seem to compete with bullfrogs since in Iowa they are rarely found where bullfrogs are common. 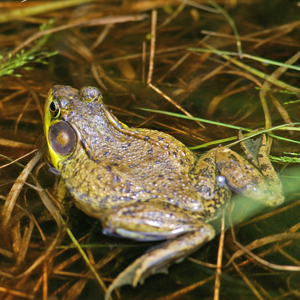 Green frogs persist in scattered populations in the eastern one-half of the state. 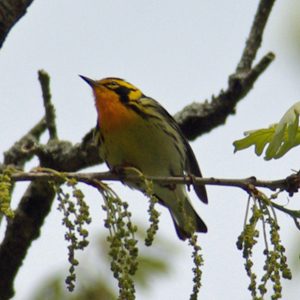 They are rare in central Iowa and become more common toward the Mississippi River.